Vegetable represents itself as the ideal food type for receiving numerous health benefits. You can consume them in various ways, but the juice is the finest way to consume without destroying any nutrients. Make sure that you have the best slow juicer if you want highest nutrients and natural taste from juicing ingredients. Whether your aim is minimum or maximum, juicing is the best ever method to consume and absorb all the nutritional values in fresh vegetables and fruits. Juicing distinguishes the fresh juice from the fibers and your body takes up more vitamins and enzymes quicker than if you had consumed the vegetables whole. I have found some of the vegetables to consume as juice which are highly rich in nutrients. Celery is the thinnest, leanest and tallest vegetable in the world. This amazing vegetable contains 95% of water elements that make it ideal for healthy juicing. It allows you absorb a huge amount of beneficial nutrients. 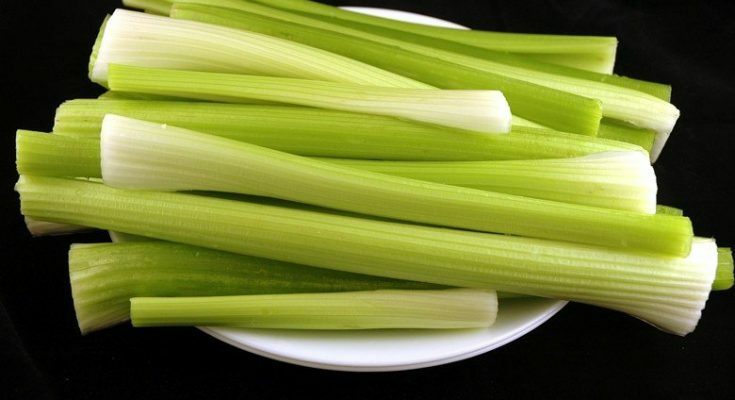 A single stalk of celery provides sufficient amount of vitamin A, vitamin C, vitamin K, potassium and folate. You can juice the green leaves too as they contain high amount of potassium content. Carrots contain many useful nutrients with excellent taste as well as they add some color with other juicing ingredients. They contain lots of enzymes and vitamins such as vitamin A, vitamin B8, vitamin C, and vitamin K. They also contain minerals like copper, iron, potassium and manganese. Carrots prevent high blood pressure, heart disease and boost immune system. They include beta-carotene which is the cause of their nice color. This nutritious element also helps to maintain healthy eye and skin. Broccoli is one of the best supportive vegetables for human nutrition and health. Many of the athletes and health enthusiasts include broccoli juice in their diet to strengthen bones and improve overall health. It also prevents few of the cancers, reduces cholesterol and keeps body lean and excellent. Broccoli contains vitamin E and vitamin K as well as essential antioxidants. It also includes vitamin B and vitamin C that improve immunity. The cucumber gives you perfect hydration benefits as it contains 95% water content. This vegetable also has other health advantages, such as blood potassium, which decreases risks of heart attacks and stroke. Moreover, it has an anti-inflammatory element called flavonol that results in mind wellness and reduces threats of cancer. Cucumber has abundance of anti-oxidants including beta-carotene and vitamin C that battle toxins. It also works for enhancing beauty and skin health. Kale is called the powerhouse of most necessary nutrients. It is rich in vitamin K which improves bone health. It also contains calcium, iron, copper, potassium, minerals and lots of vitamins. Many studies show that kale plays a vital role to prevent cancer. Kale is a perfect juice because it blends well with many other vegetables. Spinach juice is highly recommended if you want to build your muscle. It tastes much better as juice than solid spinach. It is a great source of vitamins A, and E along with calcium, iron, potassium, choline and protein. Choline works for improved brain function. Wheatgrass is called the nature’s greatest plant foods! If offers a highly rich amount of essential nutritional values that improve your health. It contains adequate amounts of amino acids, chlorophyll, enzymes, calcium, thiamin, B6 riboflavin, vitamins A, C, E, K, 92 minerals, copper, zinc and selenium. 4 grams of clean wheatgrass also includes 252mg of the daily necessary amount of Niacin. Niacin as well as vitamin B3, is vital for our health. It is employed in medication as a healing tool to develop cholesterol level reducing threats for cardiovascular issues. Make sure that you take your wheatgrass juice immediately after preparing it. If you drink it after 15 minutes of juicing, you might loss its valuable nutrients. Drinking it on an empty stomach provides most expected health benefits.